Whatever the cause of your hair loss, The Wig Boutique can help. From cancer treatments, alopecia, and other medical related hair loss, to overtreated hair and salon accidents, people today wear wigs for all variety of reasons. At The Wig Boutique, our staff are all wig wearers, so you can trust them to be speaking from a place of experience. Discover how good great hair can feel! As wig wearers ourselves, we recognize how difficult hair loss can be. Our aim is to offer superior customer service, coupled with the kind of compassion and patience that comes from shared experiences. Every person's journey with hair loss is unique, and we will meet you at whatever stage you are at. Your privacy and comfort are of the utmost importance to us. Our shop is located in a stand alone building, not on a main street, and features privacy frosting on the windows. We can offer a privacy screen for clients who prefer it. 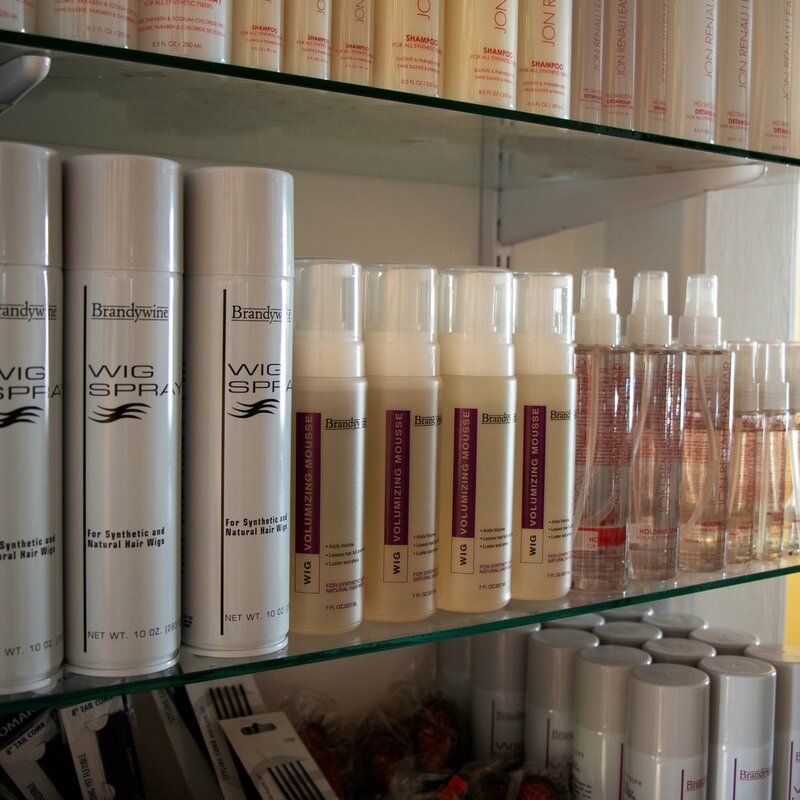 Curious what a visit to The Wig Boutique is like? Want more information about the products we carry? Find answers to these questions, and more, in our Frequently Asked Questions. Synthetic wigs are easy to care for, but there are very specific steps you need to follow if you want your wig to last. Learn how to protect your investment and take proper care of your wig. As Western Canada's only full-service wig shop, we offer a wide range of services, from basic cutting and size alterations to restorative steaming to wedding and grad styles. November 1st was a big milestone here at The Wig Boutique, as it marked the five year anniversary of our current owner, Suzan Hale, purchasing the business! The Wig Boutique in Edmonton has served the people of Edmonton, Calgary, and surrounding Alberta areas for more than fifty years. Do you have medical related hair loss caused by alopecia, cancer, or trichotillomania? Is your hair thinning due to age, genetics, or new medications? Whether you're looking for monofilament, hand tied, lace front, or machine made wigs, The Wig Boutique's staff of qualified, compassionate, experienced wig wearers can help make your hair dreams come true.